Enjoy the top 13 famous quotes, sayings and quotations by Sam Zell. My single biggest financial concern is the loss of the dollar as the reserve currency. 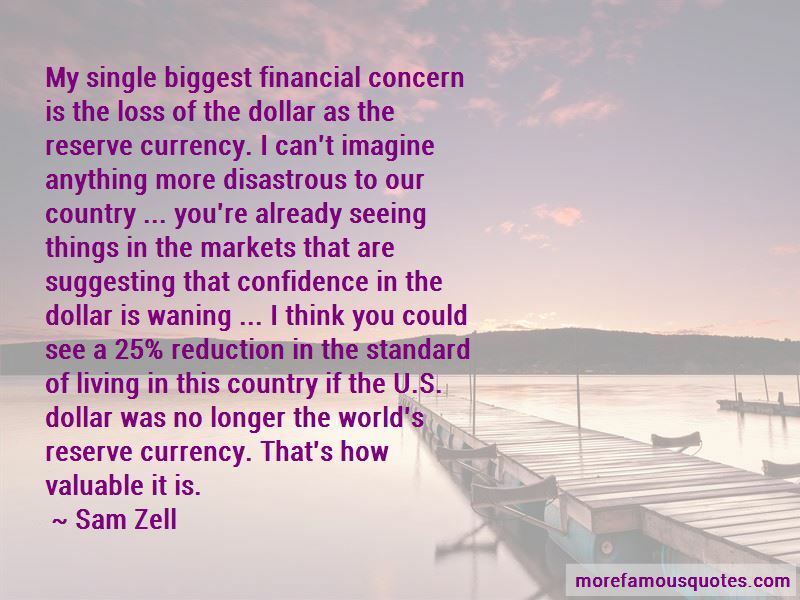 I can't imagine anything more disastrous to our country ... you're already seeing things in the markets that are suggesting that confidence in the dollar is waning ... I think you could see a 25% reduction in the standard of living in this country if the U.S. dollar was no longer the world's reserve currency. That's how valuable it is. When you got a demand issue it's hard to imagine the stock market at an all-time high. 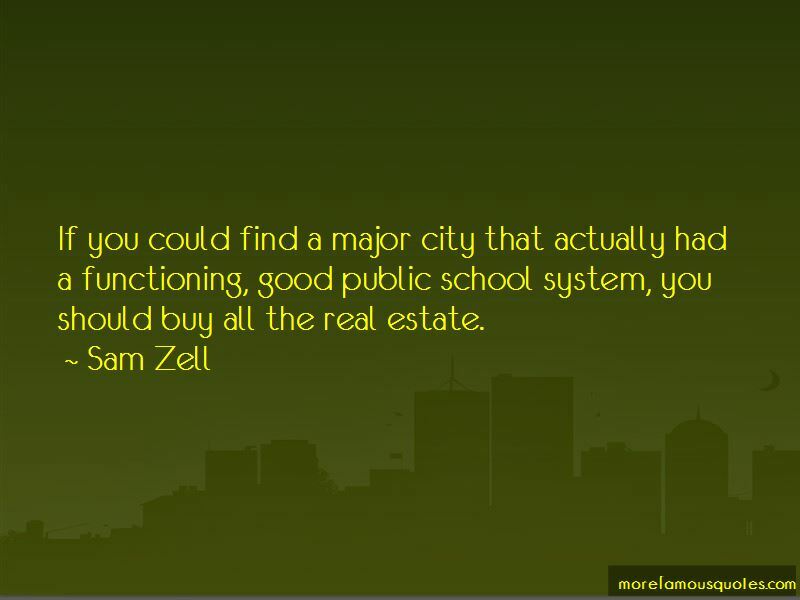 Want to see more pictures of Sam Zell quotes? 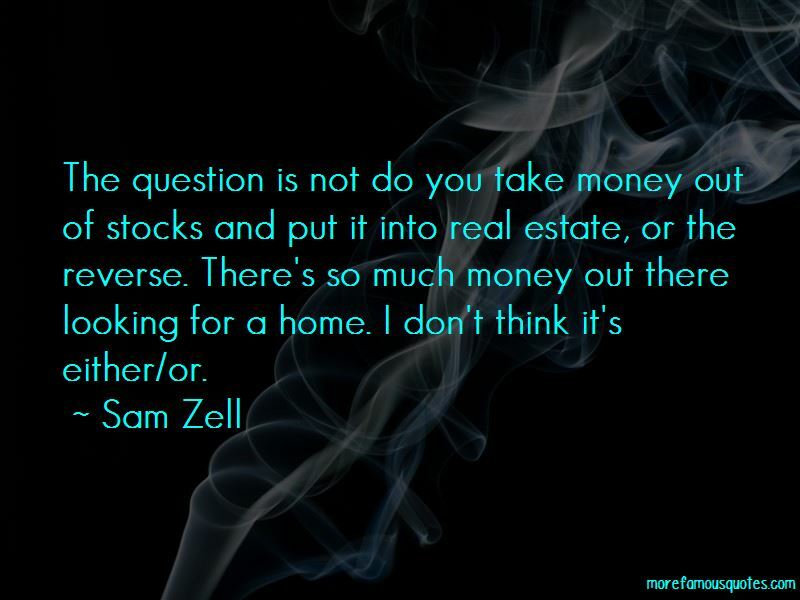 Click on image of Sam Zell quotes to view full size.